G.S.A. 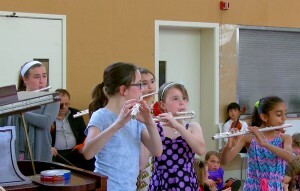 strives to bring music to all children by using Dr. Suzuki’s loving and nurturing approach to music education. Our goal is to help create more complete and developed children through the medium of music and cultivate each student’s desire for excellence. Our impressive faculty boasts more advanced Suzuki Teacher Training than any school between Hartford and Manhattan and draws students from Connecticut, New York, and New Jersey.